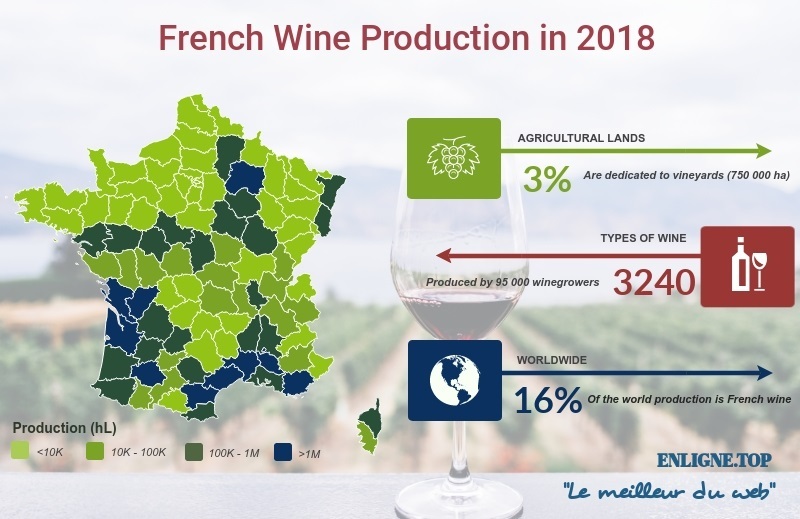 There are many types of wines produced in France but do you know that vineyards are actually a very small part of french agricultural lands? Here is a map showing wine production in volume by department. As one can see most of the production occurs next to main rivers or sea.